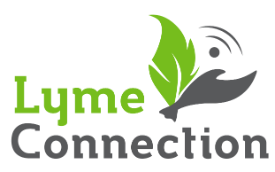 Lyme Connection is a unique community-based organization, founded by families impacted by tickborne disease. We offer BLAST prevention programming as well as patient support services and educational events. Lyme patients and their families benefit from our free monthly support groups, seminars, annual conference and health fairs. Medical and mental health providers take part in the professional programs Lyme Connection offers to improve patient care. Run by caring individuals who have directly experienced the impact of tickborne diseases, our organization understands the essential role wellness activities and educational resources play in recovery. We connect people to the fellow patients and professionals who can help make what is often a lonely and complicated experience less daunting. Thousands of patients have turned to us for information and support since the group was created in 2003 as the Town of Ridgefield's Lyme Disease Task Force. We welcome your questions, donations and participation. Come join us. Our mission is to make the community a healthier place by preventing tick-borne diseases and supporting patients and their families throughout their illness. Lyme Connection began as the Ridgefield Lyme Disease Task Force (RLDTF) in 2003. This committee was established by First Selectman Rudy Marconi in response to the growing incidence of Lyme disease in Fairfield County. In 2008, in partnership with the Ridgefield Health Department, the BLAST Lyme Disease Prevention Program launched with a $50,000 start-up grant from the Connecticut Department of Public Health (DPH). In 2013, RLDTF introduced the name Lyme Connection to reflect its pivotal role in connecting patients to each other and to essential support services. Lyme Connection offers a wide range of nationally-recognized programs based on the needs of the community it serves. Today, we must address the fact that Lyme disease has risen to epidemic proportion, with over 400,000 new cases diagnosed annually according to the CDC. New, very serious tickborne diseases are complicating what was already a highly controversial diagnostic dilemma. Despite the statistics, little private, state or federal funding is directed toward community-based efforts to support patients or educate the public about prevention. We are proud of our accomplishments, but recognize that the fight to eradicate the pain and suffering caused by tick-borne diseases is far from over. 2009 Launched corporate Lyme Disease prevention program with Boehringer Ingelheim, one of the world’s 20 leading pharmaceutical companies. 2015 Successfully led the legislative effort to include BLAST Tick-borne Disease Prevention Program funding for Connecticut Health Departments. Despite near unanimous support, Governor Malloy rescinded all funds in final end of year budget cuts. 2016 Received 3-year, $25,000 Elizabeth White Grant from the Community Foundation for Greater New Haven to assist Connecticut tick-borne disease patients with medical bills.